need of body and mind, to all clients during the charter. 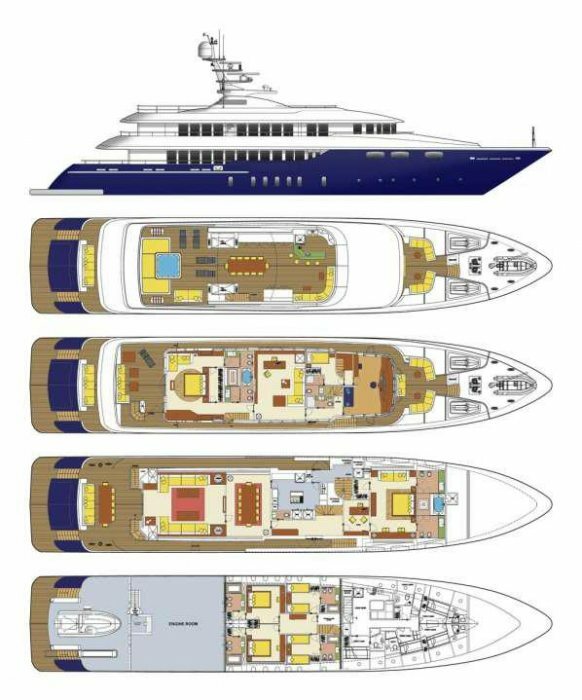 available onboard M/Y Zaliv III. A selection of body oil aromas: LUXURY COLLECTION, HONEY or FIG. Indulge in one of Greece's best-kept secrets: an ouzo oil massage! The famous spirit long used to relieve coughs, cold, and aching muscles is now available as a luxurious massage for a truly Greek experience in relaxation and well-being. Hippocrates, the Greek father of modern medicine, recommended aromatic massage every day for good health. Experience the benefits of massage and individually chosen essential oils in one of the finest anti-stress treatments available. Relaxing scalp and body massage, helping to strengthen the nervous system, thus restoring lost energy. This full body treatment is appropriate either before or after exercise as it uses essential oils of Lavender, Rosemary and Clove to help increase circulation and warm muscles, preventing strains and relieving aches and pains. Ideal for anyone involved in sports, fitness or heavy physical work. Tension in your back, neck and shoulders simply melts away after a long, demanding and stressful day with this wonderful classic massage. This facial works at a deep level to cleanse, purify, balance and hydrate the skin. An advanced triple cleansing technique and hot towels are used to soothe and soften the skin and facial hair and aid in clearing the complexion and preventing blocked pores. A relaxing massage of the face, shoulders and scalp follows, releasing tight muscles and tension, leaving you feeling totally de-stressed. One master cabin with a king size bed, his and hers bathroom, jacuzzi, shower, steam bath & walk in closet. A lounge area with an office, wine cellar and cigars humidifier mini bar & a private deck area. One SPA room with a steam bath. bar and an office area with two pullman berths. Two double cabins with a queen size bed and ensuite facilities (shower & steam bath). Two twin cabins with a pullman berth and ensuite facilities. A mini bar in the corridor RGB LED lighting in all baths/ Safe box in all cabins.